Our bathroom suites are white and we are going to freshen up the paintwork, keeping it all white and fresh. I want to add some new accessories to give the bathrooms a complete makeover. I love this huge round mirror, it's from Habitat and is gorgeous, it's on trend and will make a big difference. 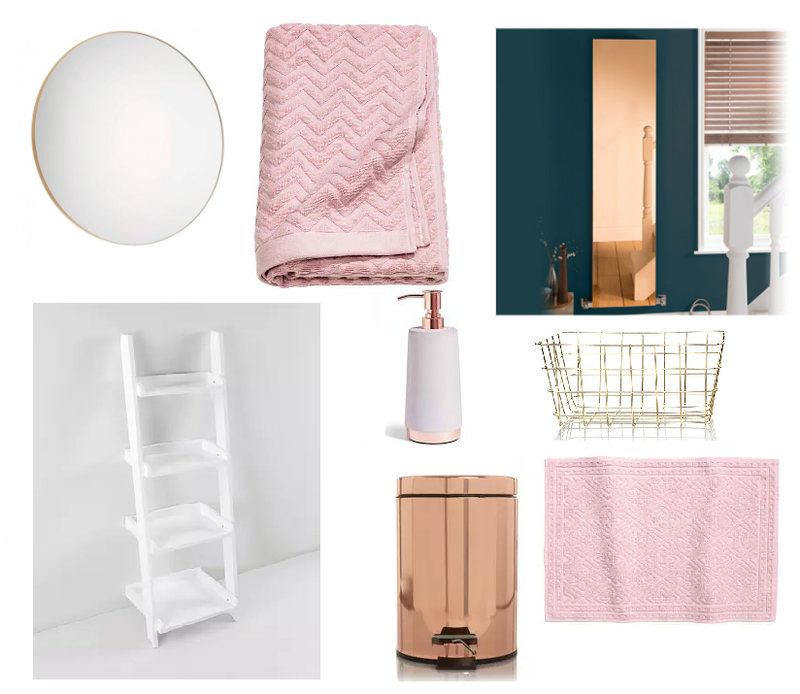 I'm loving these copper bathroom accessories and think they will add a really nice addition and refresh the whole room. 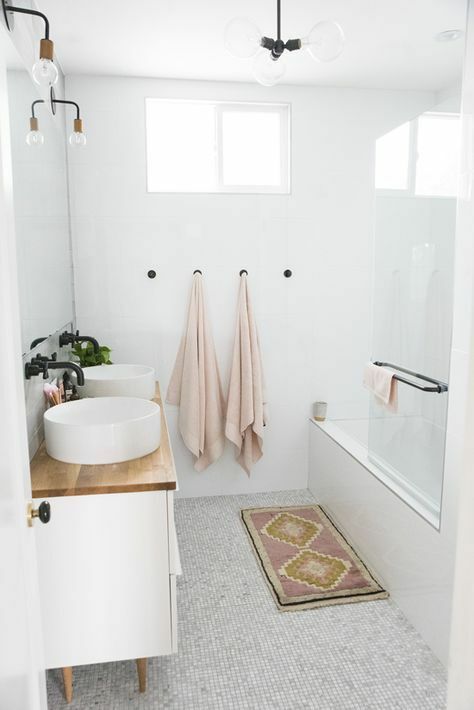 I really like this Blush Pink colour right now so might pick up a few towels and accessories in this colour, we have blue towels at the moment so this will make quite a big difference. This long mirror radiator from DesignerRadiatorShowroom.co.uk comes in a Rose Gold colour which would be so cool and would match with my colour theme perfectly. 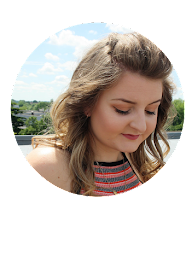 You can actually head over to the DesignerRadiatorShowroom.co.uk website to enter a competition to win £250 to spend on making your dream bathroom into a reality. 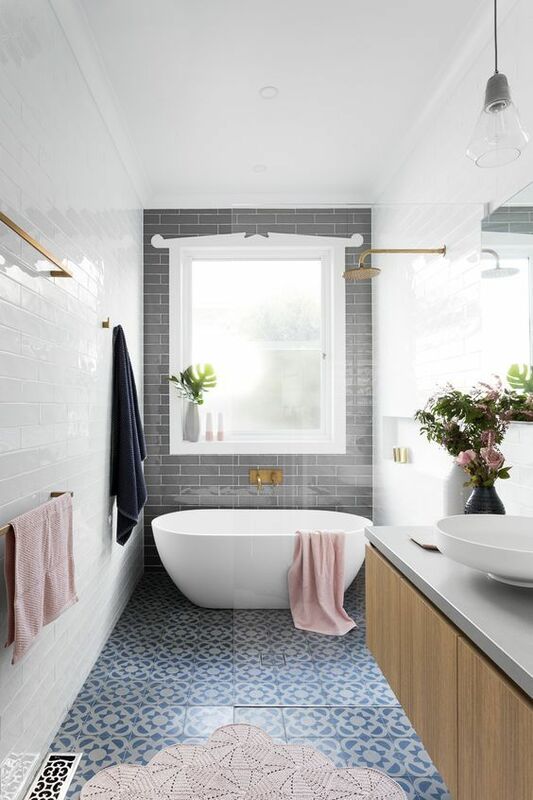 Check out my Pinterest board here with lots more bathroom inspiration and ideas to create my perfect bathroom.